Pioneers in the industry, we offer cardamom packing machine, spices packing machine, granule packing machine and cumin packing machine from India. Backed by our rich industry experience and the efforts by our team, we are engaged in the business of manufacturing and supplying utmost quality Cardamom Packing Machine. Offered machines are manufactured in compliance with the industry laid parameters using cutting-edge technology and advanced machinery. We are looking for queries for Cardomom Packing Machine from Coimbatore , Tamil Nadu, Kerala, Karnataka & Andhra Pradesh. 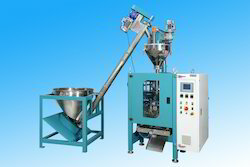 Automatic Spices Filling Machine-Standard model, with all contact parts of SS304, machine construction mild steel & painted duly with epoxy powder coating, complete with electrical panel, stand & telescopic collar & funnel., fully PLC control system for multiple fills. We are a credible name that is engrossed in the manufacturing and supplying of a collective assortment of Rice Packing Machines. Praised for its sturdy construction, compact design and cost-effectiveness, offered machines are extremely demanded in the flour mills. These machines are rigorously examined on various parameters to ensure the optimum quality. We are looking for queries for Rice Packing Machine from Coimbatore , Tamil Nadu, Kerala, Karnataka & Andhra Pradesh. 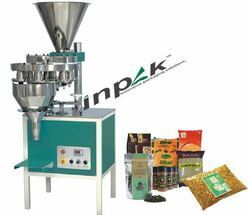 Our company is counted among the most prestigious manufacturers and suppliers of high quality Cumin Packing Machine These machines are manufactured under the supervision of skilled professionals using best quality metal that has been sourced from genuine vendors. Acknowledged for their high durability, compact design and corrosion resistance, offered machines are extremely demanded around the nation. We are looking for queries for Cumin Packing Machine from Coimbatore , Tamil Nadu, Kerala, Karnataka & Andhra Pradesh.